Or you could just come over and talk to me while I avoid doing laundry altogether. Or starting cookies. I'm okay with that too. No need to be all formal about it. Sometimes things are just better when they are simple. 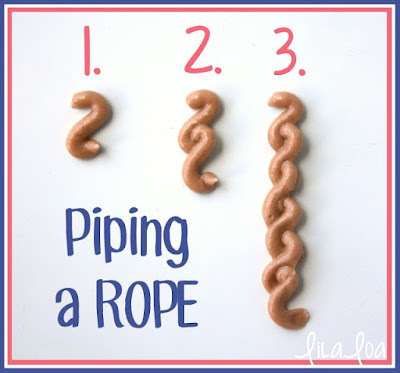 Like piping an icing rope. I always complicate it in my brain...but as it turns out...it's actually pretty straightforward. 1. 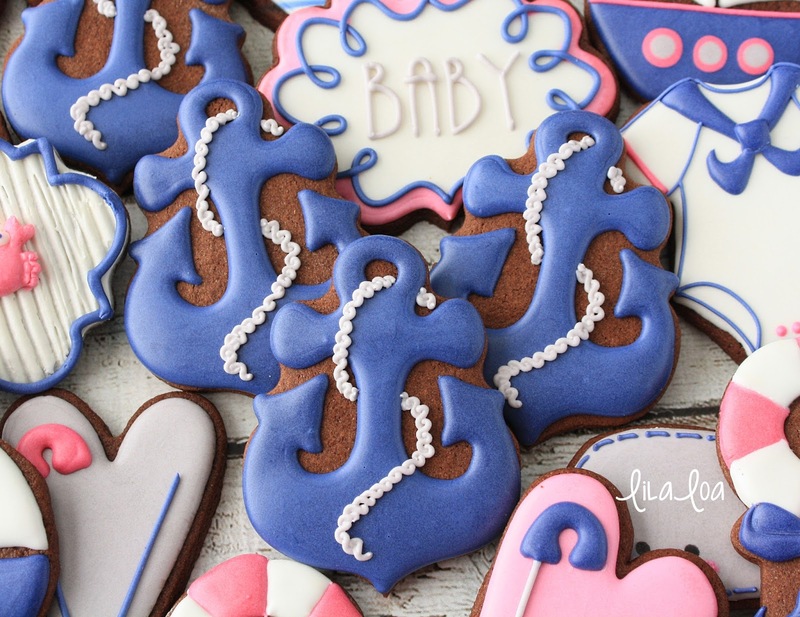 Use thick icing to pipe a backwards "S" shape. Truthfully...you could do a regular "S" shape too... but it's somehow easier for me to see it as a shape instead of a letter when I do it backwards. And really...this shape is all there is to piping a rope. 2. Do you see that little notch on the bottom of the "S" shape? Pipe another "S" shape starting inside that notch. 3. Keep doing that until your rope is as long as you need it to be. Or until you get tired. Either way. Once I've pipe 2 or 3 "S" shapes, I try to line up the beginning of the next "S" shape with the end of the one before the one I just finished piping. So...I line up the beginning of the THIRD "S" shape with the end of the FIRST "S" shape. Does that make sense? Or I am confusing you more as I continue to try to explain it? Would you rather just see it happen? I thought that maybe you would....so I made you a video, because I'm thoughtful like that. And also because I like videos more than I like laundry. 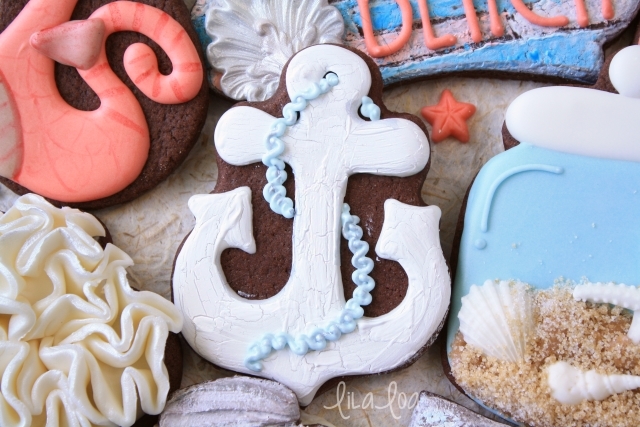 See more of the NAUTICAL BABY SET.